In Lark Rise To Candleford and Heatherley Flora Thompson wrote the story of her Victorian country childhood and her youth in village post offices. She was sixty when she wrote her well-known books but she had spent a lifetime serving her apprenticeship as a naturalist and a writer. This biography tells the story of her life and her struggles as a writer. Flora Thompson’s books opened windows on to the lost world of the hamlet, the village and small country towns. "Fifty years after the first publication of Lark Rise comes Gillian Lindsay's biography of its author. Flora Thompson uses contemporary photographs and delightful wood engravings to illustrate the story of this shy, intelligent girl who loved reading and the countryside ... With descriptions of family life and wartime struggles, the book gives a fascinating portrait of the author who was a pioneer of the conservationist movement." "Many will remember Lark Rise to Candleford, a classic of old country life in an Oxfordshire village of the 1880s. Flora Thompson is Gillian Lindsay's gentle, moving story of the woman who wrote Lark Rise." "Anyone who has enjoyed Flora Thompson's novels will surely appreciate the opportunity to learn more about this exceptional woman ... Gillian Lindsay's book is the first full biography of Flora Thompson. 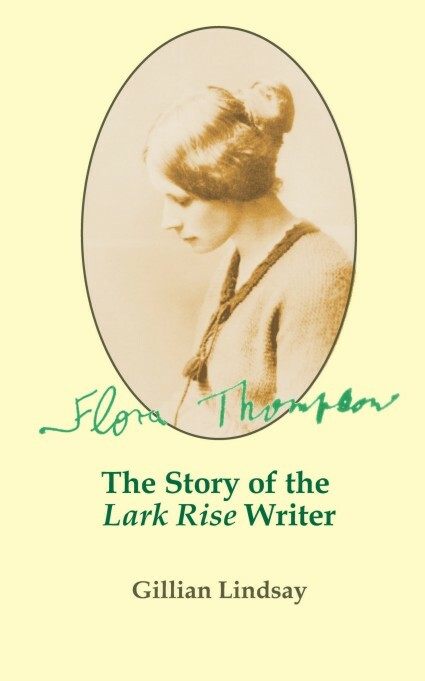 Based on an earlier biographical essay and on interviews with the few people who still remember Flora Thompson ... it examines its subject's lifelong quest to become a writer and the reasons for her success." Gillian Lindsay has written several books for children including: The Dormice Who Didn't, Fox Barn, The Toffee Apple Tree, The Biggest Boast and An Owl in Winter. As Anne Stratford she wrote Village Practice. Her interests include book illustration and she has written the introduction to Four Hedges, the reprint of a gardening classic by the distinguished wood-engraver Clare Leighton. Gillian Lindsay lives in a village in Somerset. and Heatherley, her own book telling about this period of her life. Please feel free to contact if you would like to share information on the life and works of Flora Thompson.